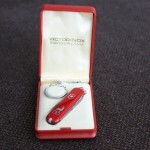 This is a Victorinox Executive. It features an unusual tool: the orange peeler, which is basically a small serrated blade with a flat head screwdriver at the end. 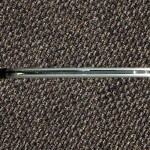 While the Executive is still in the lineup, this particular knife was made before 1991, since the scissors have a screw. 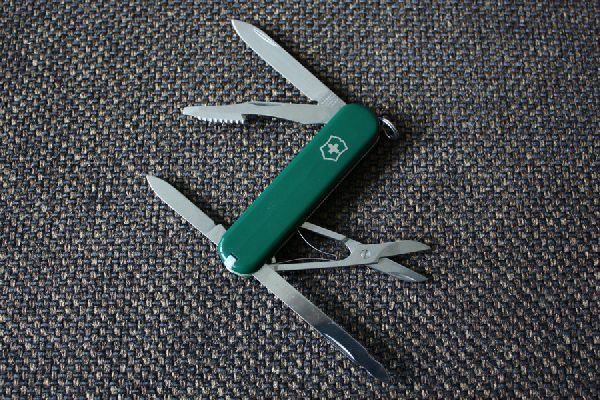 The riveted scissors were introduced in 1991. 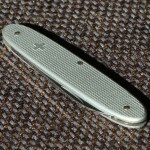 Victorinox also make a stainless steel version of the same knife, which is called the Director. It does not have the tweezers and toothpick. The 74mm line consists of only a small number of different models, a couple of which have been discontinued. The Camper is a 3 layer, 91mm knife. 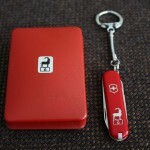 It is usually red with a Camping logo on the front scale (metal inlay or hot stamped). This is a green one without the logo. 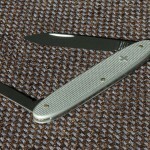 This is a Victorinox Classic (Aries Capricorn) from the (original) Zodiac series. Knives from these series all have one of the zodiac signs inlaid on the front scale. 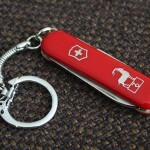 They come in a red gift box with the same sign on the top and have a small key chain attached. 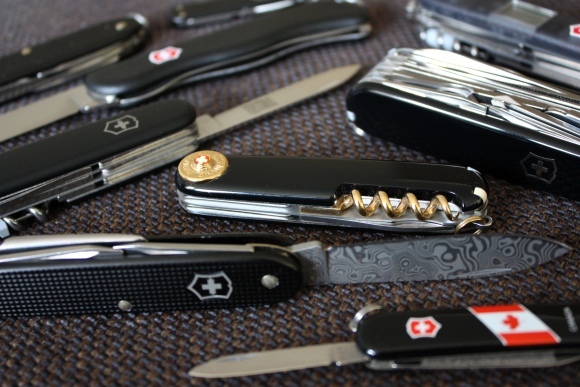 I don’t know when Victorinox made these knives. The scissors have a screw, rather than a rivet, so they are pre-1991. They are not extremely rare, but they are not very easy to find either. 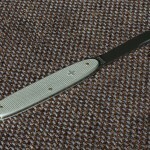 There is also a newer Zodiac series, the Zodiac Passion knives. Those were made for the Chinese market. 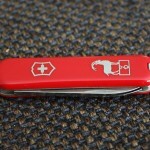 I got a nice little Victorinox knife in the mail a couple of days ago. It’s an Excelsior in silver alox. It’s a pretty basic 84mm, single layer knife with only a large and a small blade. 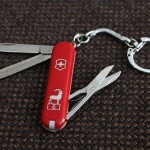 It has the old Swiss cross on the front scales and it looks like the knife has never been used, carried or shapened. It’s in mint condition which is what I prefer ;) It came without the box, unfortunately. 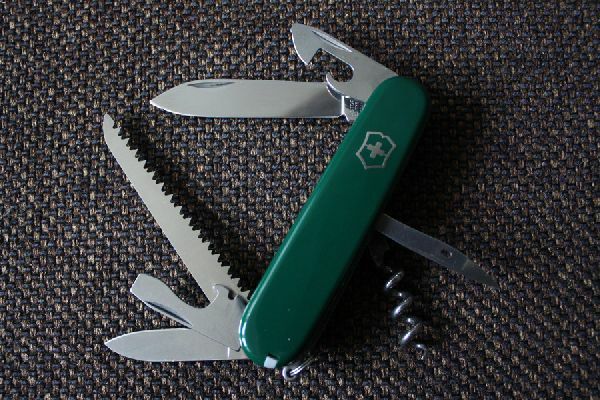 Victorinox still make the cellidor version of this Swiss Army Knife, but the ribbed alox versions have been discontinued since I think the 1980s. Update: I think this knife is actually pretty new after all. 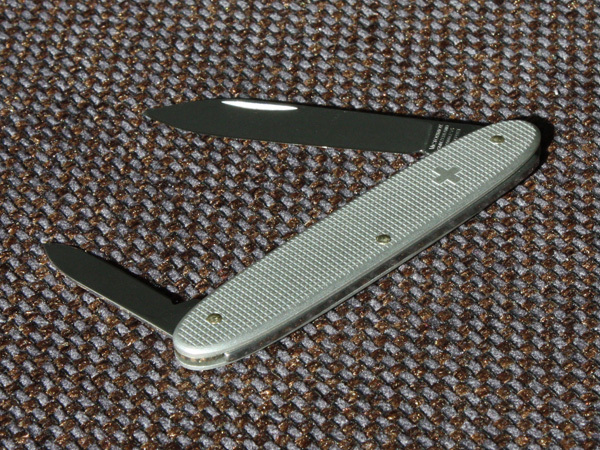 The old version of this knife (model 2070 s) did not have a Swiss cross on the front, and this one does. 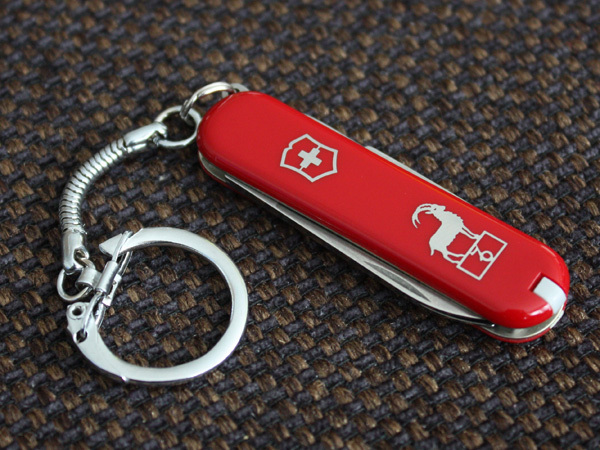 Also, Victorinox is written with a bigger capital V which indicates it’s post-1984… still a bit of a mystery, this. 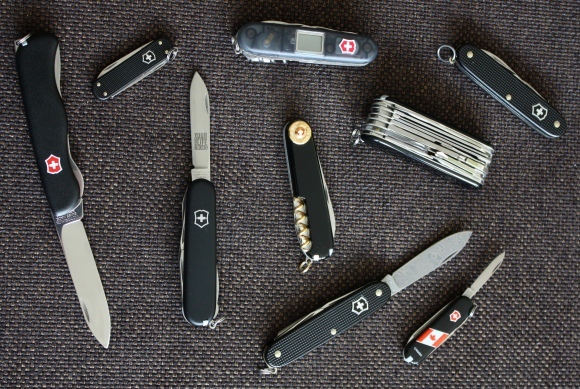 There is a thread on the MultiTool.org forums about black Swiss Army knives, with lots of great pictures. I happen to like black cellidor scales a lot. In fact, it’s one of my favorite scale colors, along with green and any kind of colored alox.